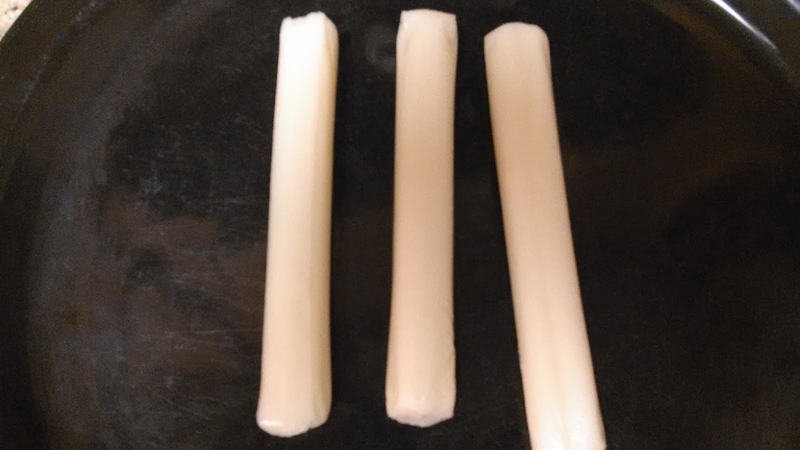 Step 1: Place mozzarella sticks on plate or cutting board. Step 2: Cut mozzarella sticks into finger sizes resembling five fingers (i.e. thumb, pinky etc.). 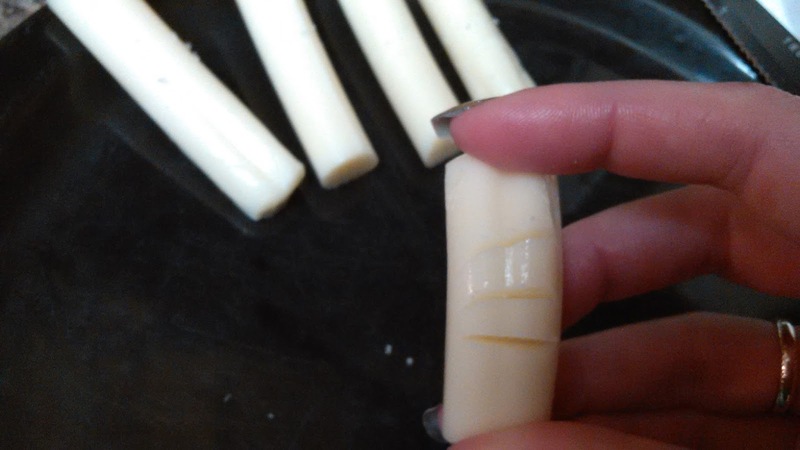 Cut three lines in the middle of each finger. Step 3: Trim hamburger bun to resemble the palm of the hand. Trim the hot dog bun to resemble a wrist. 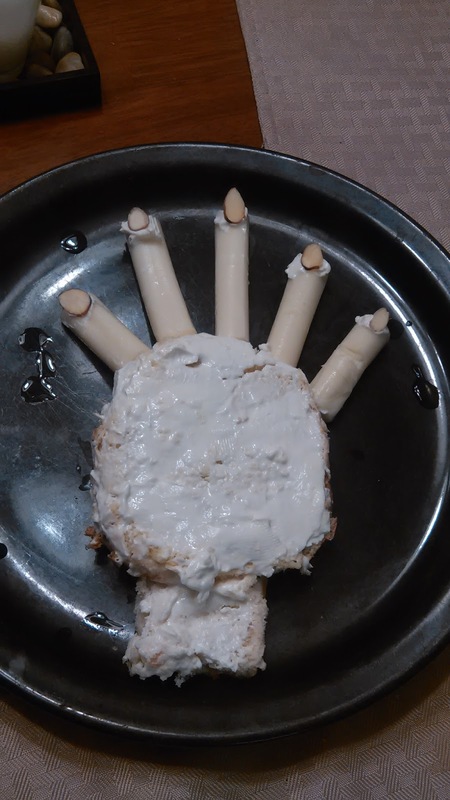 Step 4: Place cheese sticks, hamburger bun and hot dog bun on plate or serving tray to resemble a hand. 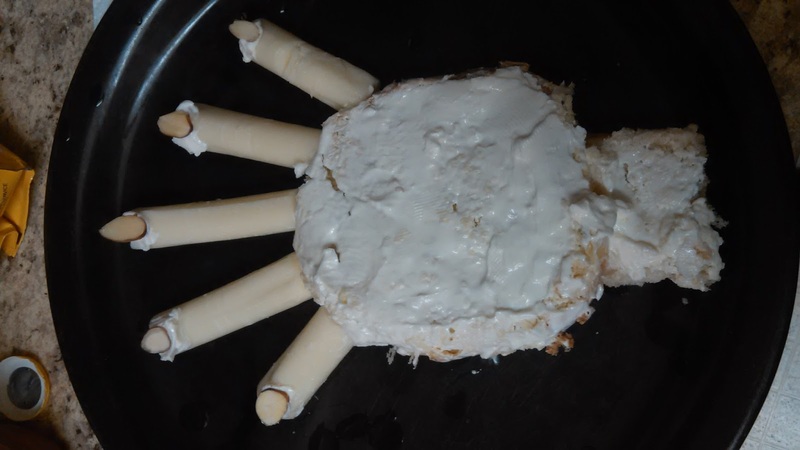 Spread cream cheese on the tips of the fingers (cheese sticks), hamburger bun and hot dog bun. 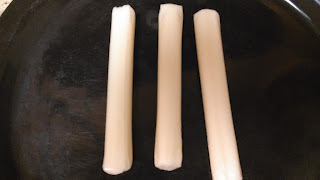 Step 5: Place an almond sliver on the tip of each finger (cheese stick). Step 6: Enjoy your Thing Thursday!